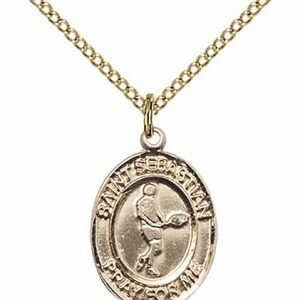 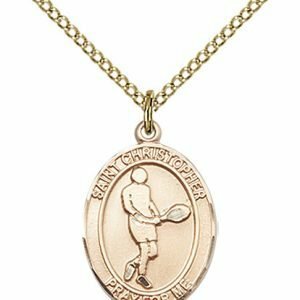 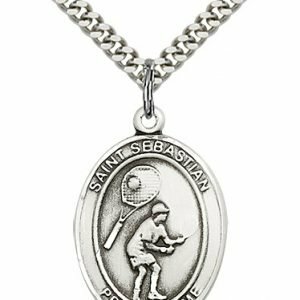 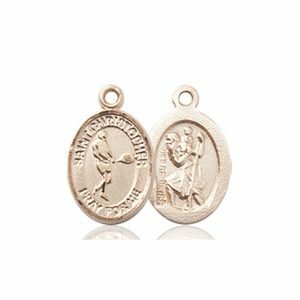 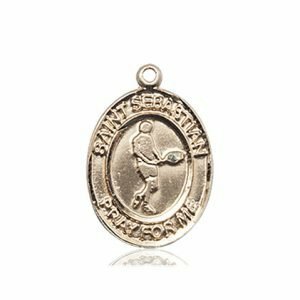 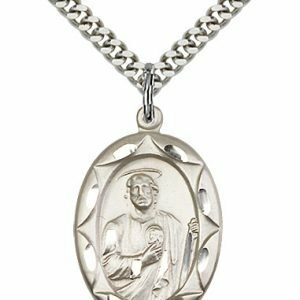 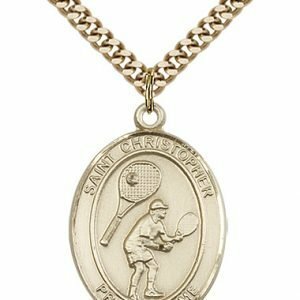 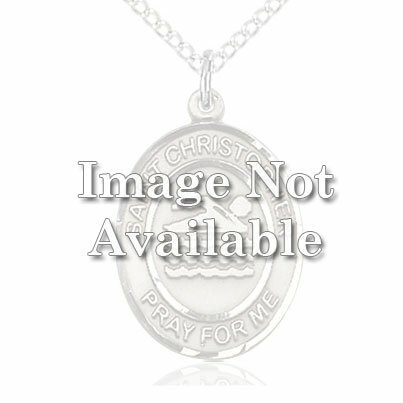 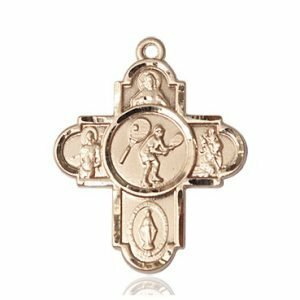 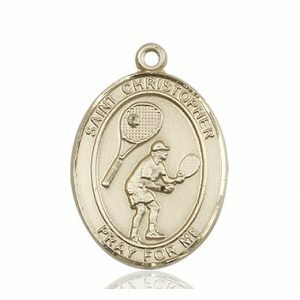 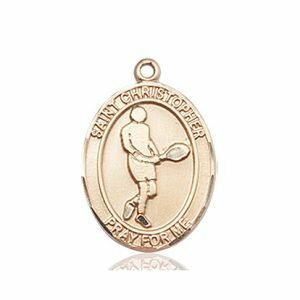 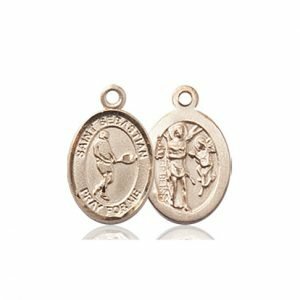 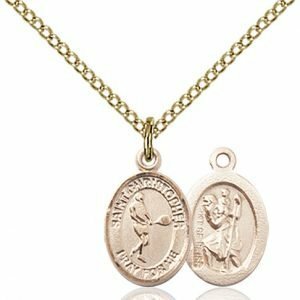 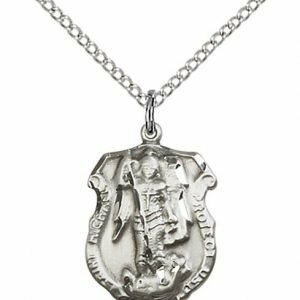 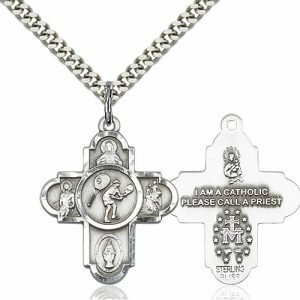 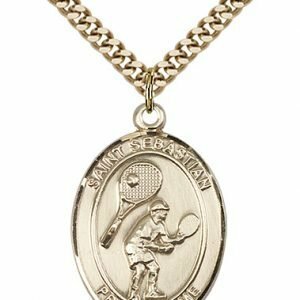 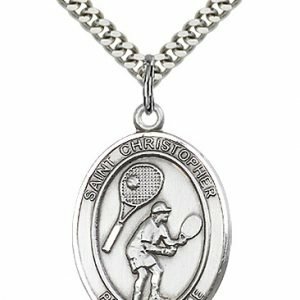 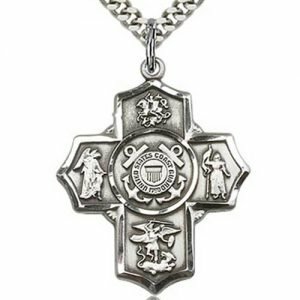 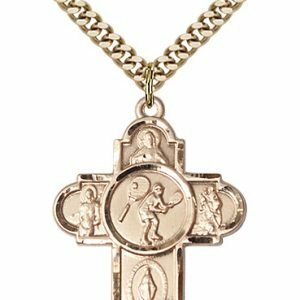 Our Tennis Saint Medals have the image of a tennis player with the “Saint Christopher Pray for Me” or “Saint Sebastian Pray for Me” inscribed along the edge. 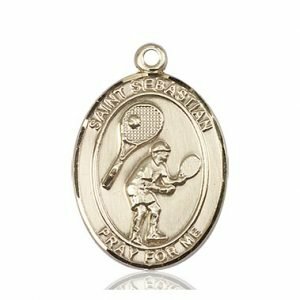 Included are 5 way medals that have a tennis player on its center. 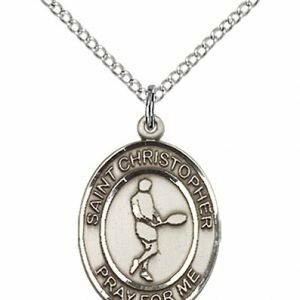 Also available are Tennis Rosaries with an image of an athlete on the center of the rosary and the stamped image of St. Christopher or St. Sebastian on the back. 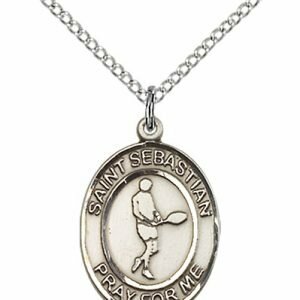 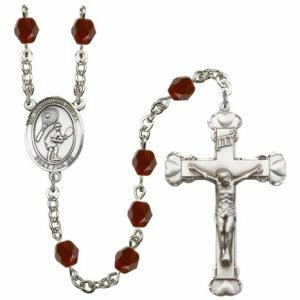 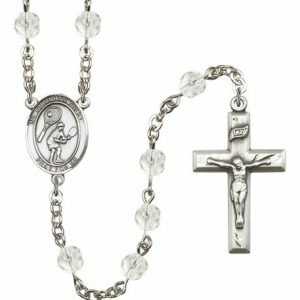 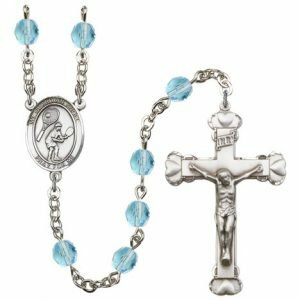 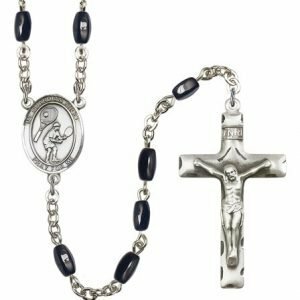 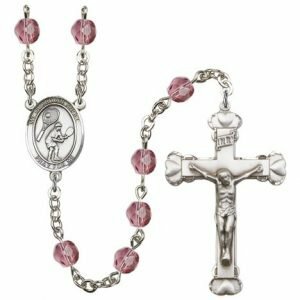 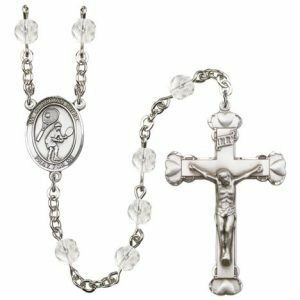 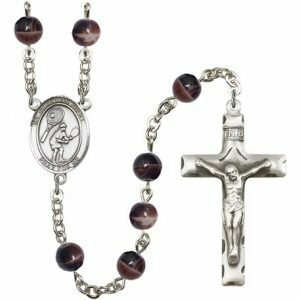 With your choice of bead, color and cross, these rosaries are perfect for those who coach or play tennis.